These prices are for our most elaborate version of this piece. 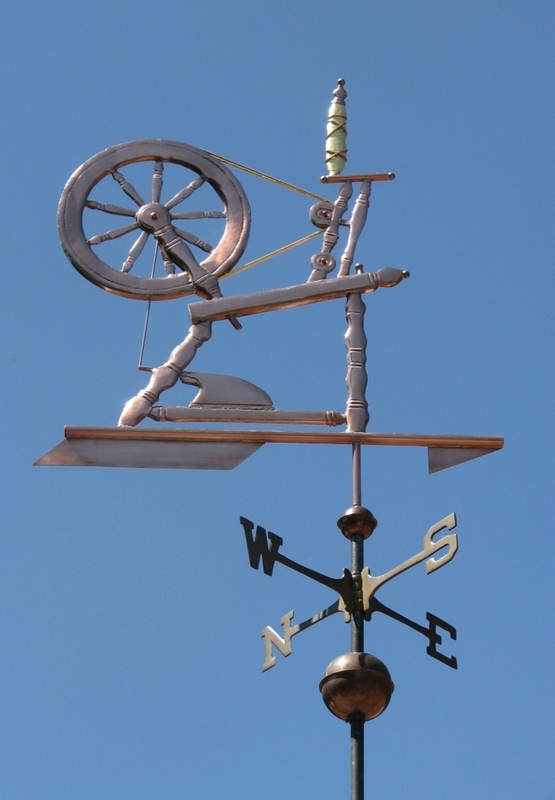 Our Spinning Wheel Weathervane was originally designed as a memorial for a customer in British Columbia. His wife was an extraordinary weaver who spun her own wool, dyed it and wove it into clothing and blankets. 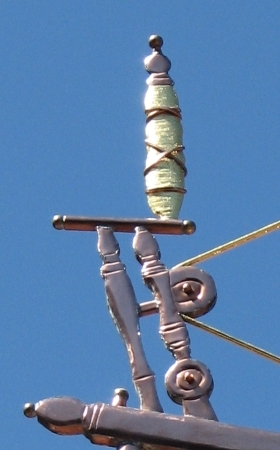 This weathervane was a tribute in her honor. As such, we made it quite intricate. If desired, we can certainly make a less elaborate Spinning Weather Weathervane. We also added optional gold leaf to highlight the wool as it made it journey through the wheel. 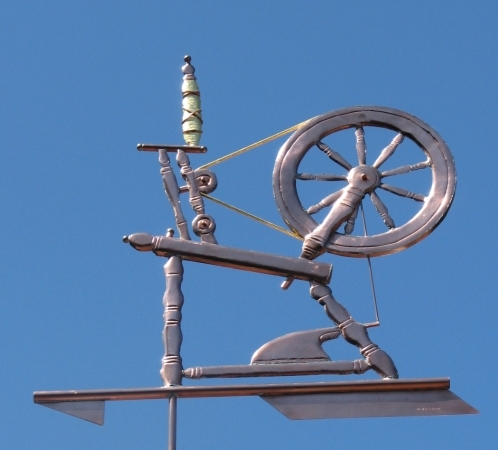 The Spinning Wheel Weathervane shown here was ordered as one of a pair. The couple who commissioned this piece was renovating a property with a main home and a small ‘hobbit house’ on the creek. The Spinning Wheel Vane was for this latter small house. For their residence they selected our Angel on Moon Weathervane. Having the two copper weathervanes helped in creating a continuity of style on the premises. Also, by ordering two weathervanes at the same time, they received a 10% Multiple Purchase Discount on each one! 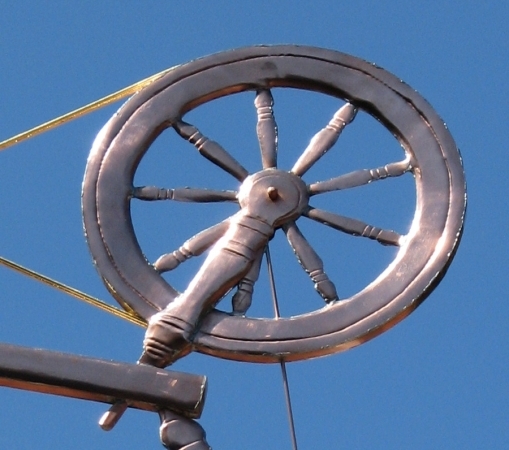 Spinning wheels replaced hand spinning around the 11th century. As the spinning wheel moved west from Asia it also picked up folk tales, legends and songs. On of our favorite stories tells of a maiden was aided by a conniving imp in spinning straw, flax or hemp into gold to save her life. You may know this story by the name of The Golden Spinneress, by Erben Striokl, or Rumpelstiltskin by the Brothers Grimm.